Francicso "Paco" Fernandez Francisoc Fernandez is one of Spain's top personal trainers for amatuer and professional golfers. 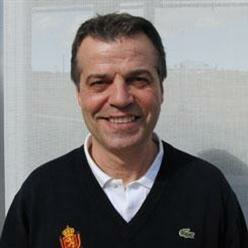 He is the trainer of the men's and women's national teams of the Royal Spanish Golf Federation. He is the lead instructor for all TPI Level 1 certification seminars in Spain and South America. Francisco earned his Bachelor of Physical Education from the University of Politécnica in Madrid and holds a diploma in Nursing from San Carlos Clinical Hospital University Complutense. Madrid.